Sometimes they cry when you drop them off, but summer camp usually ends up being a happy time for kids—and an even happier time for parents who get a nice little break in the parenting action, a week or so to enjoy a slightly less hectic, quieter household. What a great time to enjoy some really delicious, sophisticated meals, featuring foods that are decidedly more “grown-up” than your typical weeknight family dinner! 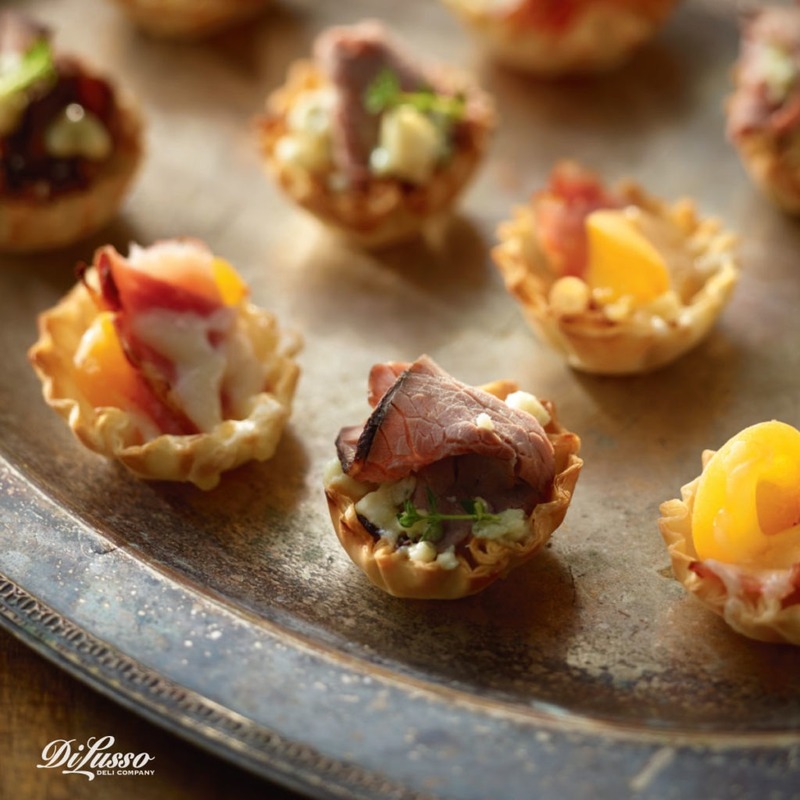 We’ve got some fab ideas for you and fellow adults—easy enough for every day, but elegant enough for entertaining. 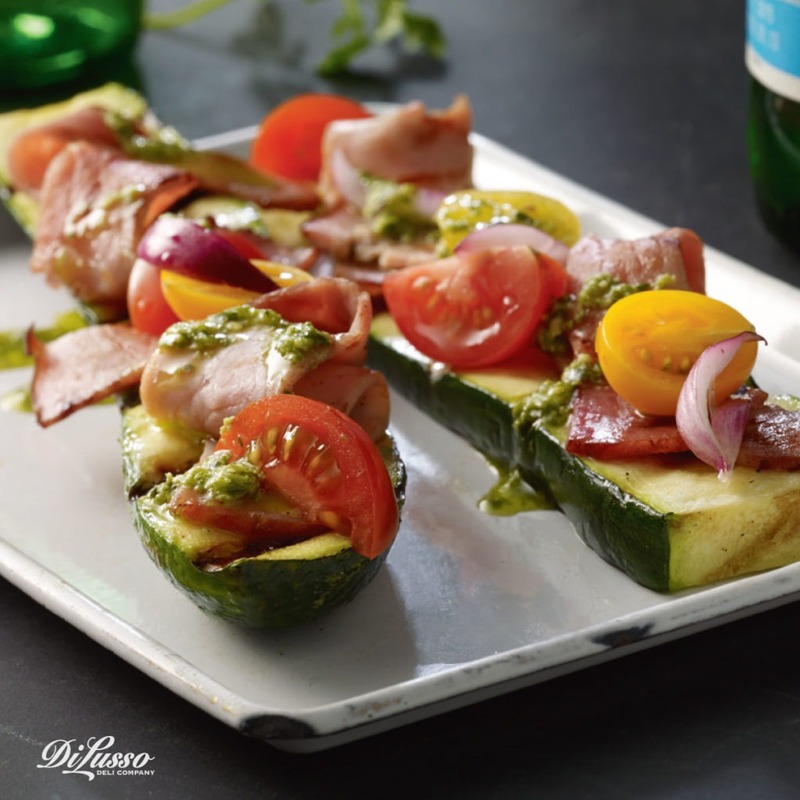 A marvelous summertime centerpiece: Grilled Zucchini with Double Smoked Black Pepper Ham—zucchini “boats” topped with DI LUSSO® Double Smoked Black Pepper Ham, cherry tomatoes, red onion and a pesto-like sauce made from sunflower seeds and fresh cilantro. They’re incredibly flavorful and let you make the most of one of summer’s best seasonal vegetables. 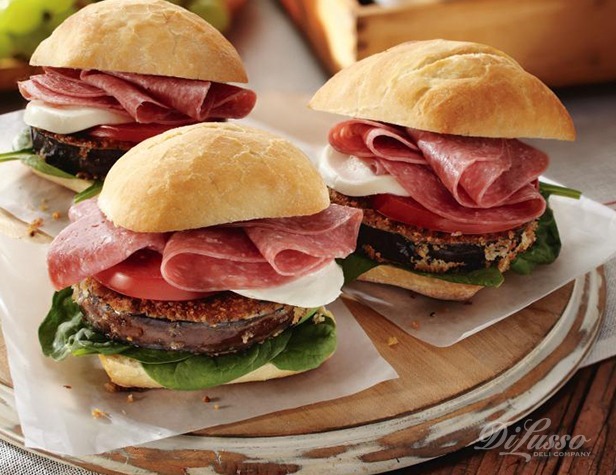 Another amazing vegetable-based entrée for lunch or dinner is our Genoa Salami and Fried Eggplant Sandwich, featuring DI LUSSO® Genoa and Mozzarella, lightly breaded fried eggplant slices, tomato and vinaigrette on hearty ciabatta rolls. Set the table. Light the candles. Pour the wine. And relax and enjoy a quiet mealtime before your little happy campers come home again.